Among the different print materials available, flyer marketing is arguably one of the most flexible. 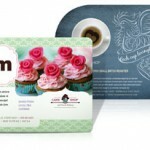 Aside from its many marketing uses (which will be discussed below), these promotional tools are printed on a single sheet, which lend to the ease of distributing them to your target audience. Essentially made with the same material, not all flyers are marketed the same way. Below are the more popular kinds of flyers distributed, mailed, and handed out to people. Also known as professional flyers, business flyers are typified by a clean layout and design in promotion of not only the company’s corporate identity, but also its products and services. Flyers made for branding purposes include a much more detailed information about the company in the copy to better introduce and familiarize the target audience to your business. 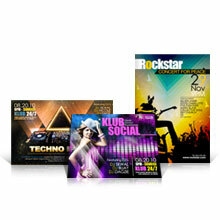 These flyers match the glamour and pizzazz of nightclubs and events being promoted through their appearance. 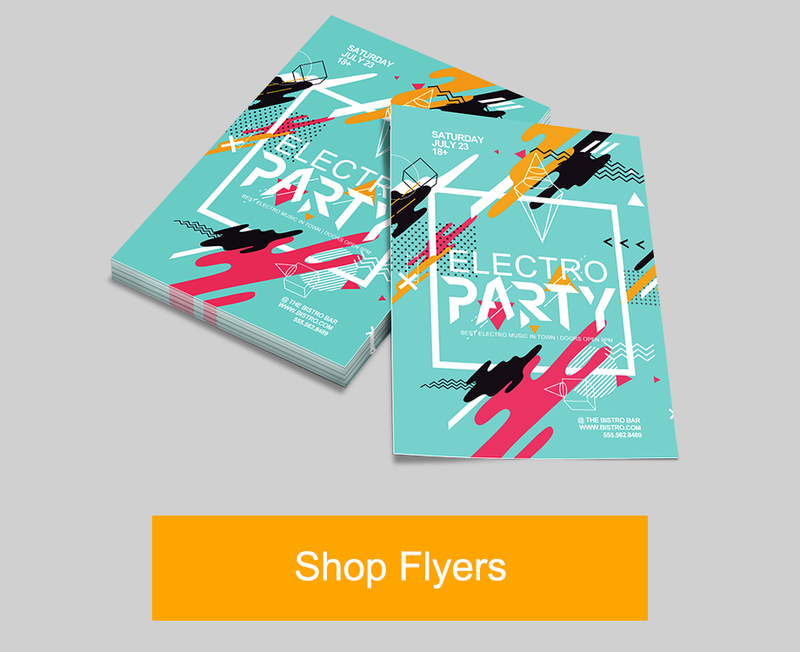 Unlike the professional look of business flyers, card club flyers look much more vibrant and are designed using vector art and hi-res images to print out a stunning promotional tool. 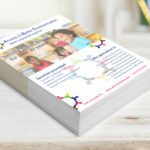 The difficulty arising from flyer marketing stems from promoting a print material for your business that looks just like the rest of your competitor’s. Thankfully, die-cut flyers dare you to be different with the unique flyer shapes you can choose from for your print marketing (rounded, leaf, oval, circle, and half-circle size). The key tenets to effective flyer marketing apply to most print material that determine the flyer type: graphics, copy, and print quality. 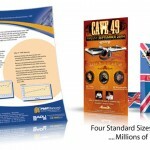 As with all marketing tools, keep your flyers consistent with your corporate identity. Much of the color patterns you must use for your flyer can be seen in your logo. 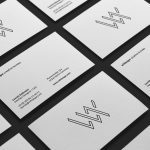 If you have yet to create a logo to be included on your flyer design, read one of our post about compelling company logo designs. Using the right color combination for your flyer design is the first step toward drawing the full attention of your target market. At this point, you have connected with your audience on a visual level. 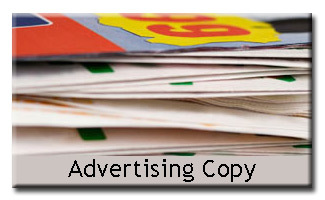 The next thing you should do is appeal to their intellect or emotions, which you can achieve through simple and straightforward copy on your flyers. Great copywriting pushes for the readers to heed the call to action as indicated on the flyer. Aside from the contact details of your business (e-mail, telephone number, address), you can indicate a QR code or a URL shortener to be accessed by smartphone or laptop users. Both tactics allow users an easier access to information on your business website and brings you closer to a potential sale or transaction with a customer. To help your case in convincing your potential customers to a possible sale from your store, use testimonials from satisfied customers and include them on your flyers. If you have no testimonials about your great products or services, click here to learn how to get one. Even if you have designed a compelling flyer for your marketing campaign, you still need to ensure that the finished print product looks exactly like the one that appears on your screen. Sending out an erroneous file to your printing company of choice may cause unaligned images and discolored prints on your flyers. 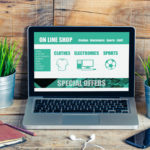 Although some companies are willing to reprint your orders, it would needlessly delay your flyer marketing campaign a couple of days. 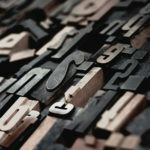 Three of the most common printing mistakes are the following: poor resolution and dpi, different color mode used on file, and designing beyond the bleed lines. These can easily be remedied by clicking here and reading our post on how to avoid these mistakes. If you’re looking for a company to do flyer printing, then we at PrintRunner are more than capable in providing the services you need. 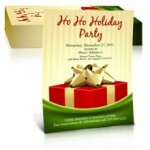 We offer business flyers, card club flyers, and die-cut flyers for your various business needs. If your plan on creating your own flyer design, you can download our FREE blank templates to keep your design within the bleed and trim lines. Our Free File Check ensures that your file is indeed error-free and ready for printing. Click here to order now! Municipal parking lots – Visit the busiest parking lot in town and place your flyers underneath the windshield wiper of parked cars. Not only will the owner see the flyer since it’s staring directly at them from their front window, but you are sure to have given out your flyers to people – since they’re not there, they won’t be able to refuse the flyers you’re handing out. Apartments – Unless there is security forbidding you to enter the premises, slip your flyers underneath the doors of each room. Bulletin boards – Since boards are frequented by people for important announcements, you should pin your flyers on boards at your office or in town to increase visibility of your marketing tools. If they like what they see, they can pull out the flyer and perform the call to action indicated on your flyer. Stores with targeted audience – This isn’t barging in their stores and begin handing out your flyers to the customers – that would be illegal. Instead, tie up with local stores related to your industry and get them to display your flyers at its point of purchase or entrance. Never place your flyers inside mailboxes as it is considered illegal. The only time flyers are legal to be placed inside mailboxes is when they are sent out as direct mail to your recipient. 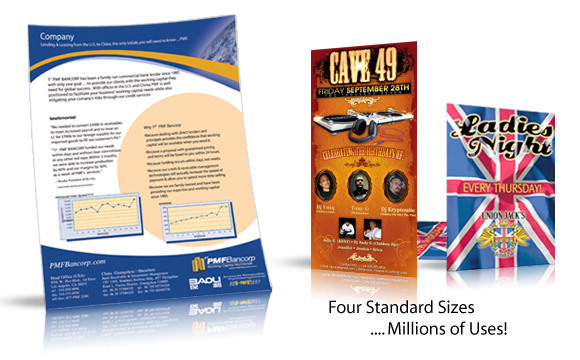 Click here to learn more about the mailing services offered for you using your flyers. Subscribe to the PrintRunner Blog feed using your RSS readers here to receive helpful advice on how you can promote your small businesses using print media and online marketing.